Time is a concept that rules our life. It also has a major impact on your reports: it changes the results you show and how you show it. When creating a dashboard, you can choose from three different ways of displaying time. But how about changing the time period of an already-existing dashboard? The best way to do so is to clone your dashboard and to modify the timeframe during the process. You will end up with the exact same dashboard, but with a different period. Let me show you. 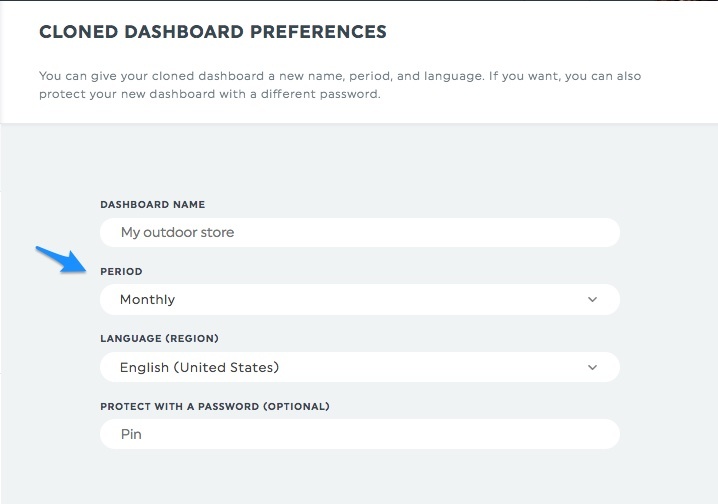 1- In the Dashboard Manager, find the dashboard you want to modify. 4- A section appears on the right side. This is where you can change the timeframe. Select the new period you want to measure. 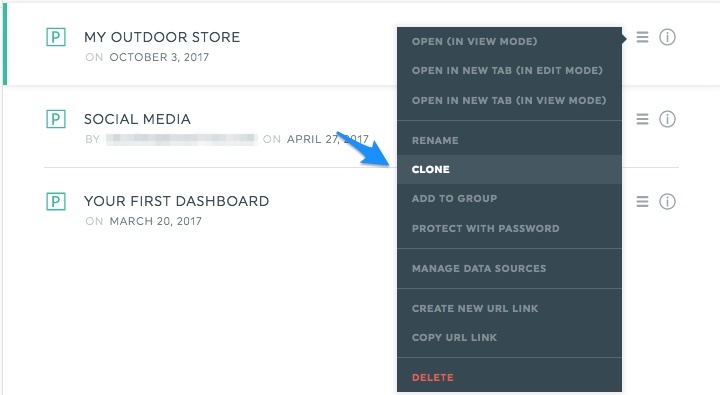 5- Click “Clone dashboard” and you’re done! You can find your dashboard with the new time period in the Dashboard Manager! It’ll have the exact same widgets, but the date, so the data, will be different.